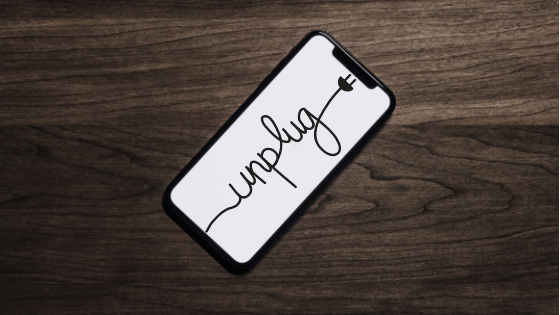 Being smartphone free brought me a step closer to digital wellness. When talking to people about digital wellness philosophy — which has a component of “unplugging” — the idea of a “dumb phone” arises. Dumb phones (previously, “flip phones”) remind us of simpler times when phones brought great convenience, but did not necessarily take over our lives. It wasn’t abound with multi-level, ad-riddled, pay-to-play games (shout out to the original phone game, Snake). It didn’t bombard us with frequent push notifications from our newest social post and we weren’t constantly interlaced with the Internet. Smartphones aren’t the worst, but wouldn’t it be interesting to experience life without one (for a week)? The challenge involves leaving my phone, powered-down, in the hands of a trusted partner and go about my daily life with a flip phone. The phone procured was the “dumbest” one on the market, although it still had two quintessential features: call and text. 7:00 AM: Phone alarm wakes me up. Check notifications and determine which “need” immediate response. If none, proceed to open video-streaming app. 8:00 AM: Make breakfast while news / music is playing. 8:15 AM: Eat while streaming continues. 9:00 AM: Begin to answer emails and other messages on phone. Check the weather, check in-phone calendar. When at work, my phone and I are attached at the hip. 8:00 PM: Use my phone as a “connected remote” to watch TV on a third-party television streaming portal. 11:ish PM: Plug my phone in and power down. I locked up my smartphone on a Friday and would not see it for another 7 days. My first encounter with inconvenience was when my dinner plans were changed by decisions made in a group chat (my dumb phone did not have the corresponding app, or any “app” as we know it for that matter). The following mornings now comprised of a guessing game via a cracked window of what the temperature was going to be. Thanks to New York weather, I was often too cold or sweaty. Without my smartphone, I gave into a sense of futility that there were certain things that I just could not do (call a ride-sharing service; contact certain people; check weather, news, email, mobile messaging, even Voicemail). Conveniently, my laptop would not connect to my apartment’s WiFi, buttressing my screen detox. Something that hit me at the tail end of the challenge was how I naturally did somewhat of a social media detox. Because I am constantly looking to my smartphone to keep me preoccupied or busy, I’ll just go pop onto Facebook. I go on Facebook not because of a compulsory draw, but to burn the time between the gaps in my schedule. Perhaps this can be akin to smoking to cure boredom. Take that as you will.